(April 3, 2019) – The MASL 2 season has finally come to a close and the New Mexico Runners have gained league recognition as Forward Jaime “Chiva” Rodriguez has been awarded the league’s Most Valuable Player award. 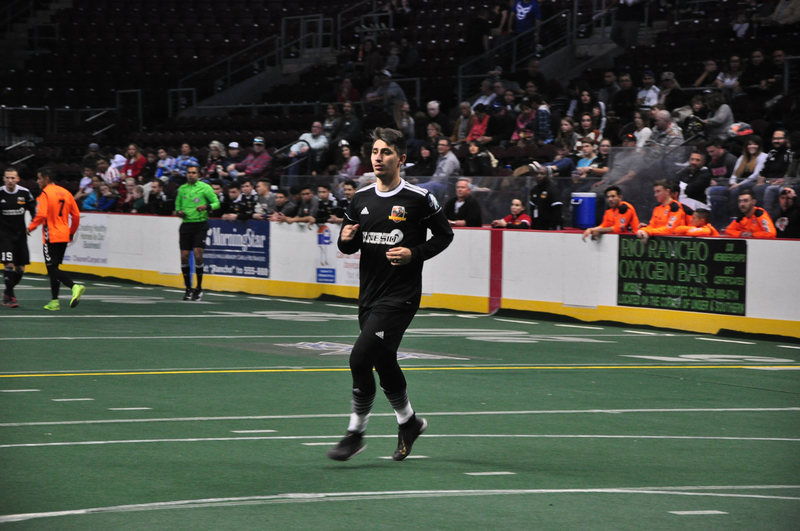 Along with the MVP award, Rodriguez was named 1st Team All MASL2 in the Forward position. Rodriguez was determined by coaches and the Major Arena Soccer League 2 staff to be the one player in the league that made the most difference on the field. “Chiva” collected 52 total points with 41 goals, 11 assists and 6 power play goals in the inaugural season for the New Mexico Runners. “This award is a well-deserved award that is a reflection of how our team came together to ensure a successful inaugural season. Chiva has been such a critical component in our machine and his award is well-deserved.” Says Head Coach Steve Famiglietta. After a successful league championship weekend which took place March 29th and 30th, the MASL2 announces its 2018-19 regular season awards. Ten out of twelve 1st and 2nd team winners were on playoff teams and seven out of twelve competed in the M2 Cup Final Four Championship weekend. The MASL2 Champion, San Diego Sockers 2 had three of the twelve players selected plus one of the four major awards. The New Mexico Runners finished with a record of 4-8 in their inaugural season and look to get season 2 underway which is slated for a December 2019 start. The New Mexico Runners are an arena soccer team based in Rio Rancho, NM and current members of Major Arena Soccer League 2 (MASL2). The Runners play their home games at Santa Ana Star Center and season 2 season tickets are on sale NOW by calling 505.663.7RUN (7786). For more information on the Runners, visit http://www.newmexicorunners.com as well as LIKE, FOLLOW and SHARE on social media at @nmrunners.